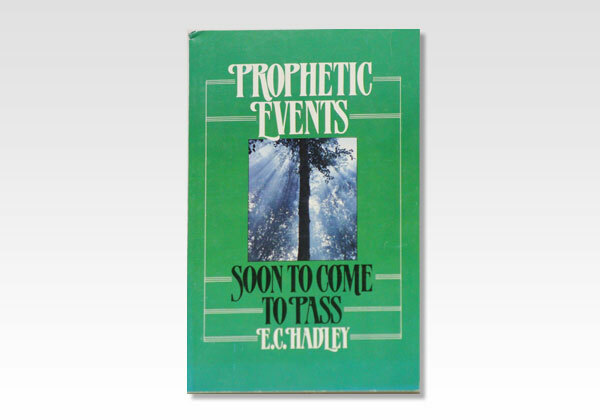 Events in the world have quickly moved on in the direction set forth in the outline of prophetic Scriptures presented in this booklet. May the Lord encourage all to study carefully these prophecies. For we are sure Satan is trying to do all he can to keep the children of God from getting a clear grasp of God's prophetic Word, lest they be stirred up to the realization that the time is short. May we be occupied only with those things that He would want to find us doing at His coming. The author, E. C. Hadley, led a full and interesting life. In his twenties he went to French West Africa as a missionary. In 1931 he founded Grace & Truth, Inc. in Danville, IL, USA, where millions of gospel tracts are printed. Gifted as a teacher and writer, his public ministry took him to many countries of the world.